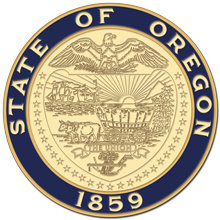 Salem, OR—Today, Secretary of State Dennis Richardson is pleased to invite all elementary and middle school-aged children to compete in the 2019–2020 Oregon Blue Book Essay Contest. What is your favorite local community celebration, festival, carnival, fiesta, or fair and why? Contestants are also encouraged to illustrate their essays with drawings. The winning essay(s) and drawing(s) will be printed in the Blue Book, and the author(s) and artist(s) will be invited to the Capitol for the official Blue Book Release party and celebration in early 2019. Contestants can find contest information and details by visiting the Blue Book website. If there are additional questions, contact the Blue Book editor at 503-378-5199 or send an email to bluebook.changes@oregon.gov.